is so very excited to be a part of this awesome show! Her credits include: “Joanne” in Rent, “Ilse” in Spring Awakening, and “Marcy” in Dog Sees God. 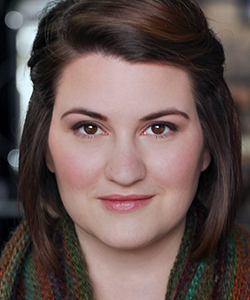 She has a BFA in Musical Theatre from the Chicago College of Performing Arts. Special thanks to Kokandy, her family & friends, and her BFF Marissa.